The news about Microsoft’s intention to “chum” SQL Server with Linux keeps floating around. But I haven’t heard a single word about SQL Server 2016 Release Candidate, that recently became available for download. 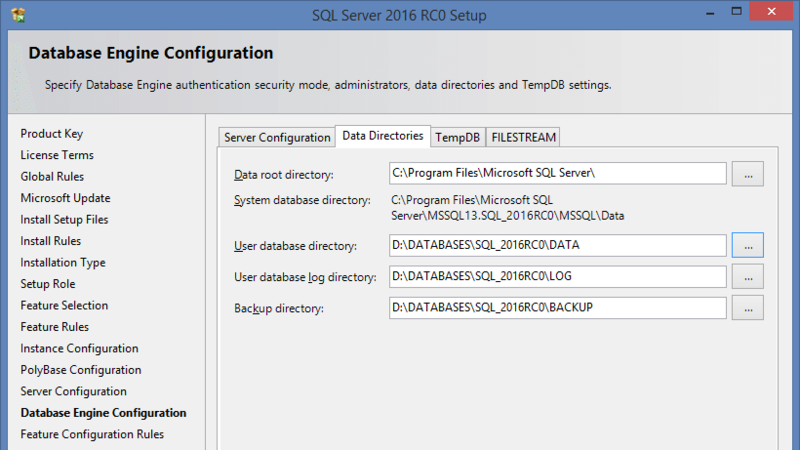 The release of SQL Server 2016 RTM is set for next month. 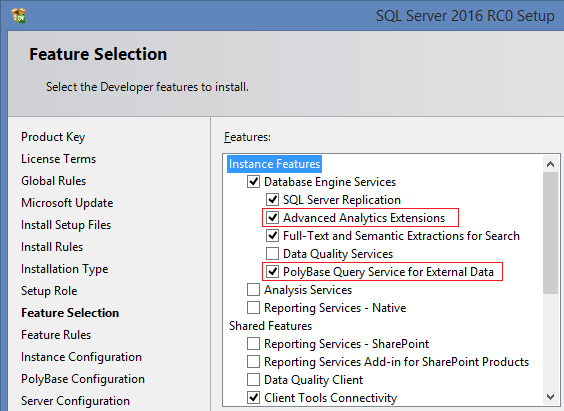 So, in this overview I will cover some new features that will become available in new version on SQL Server, i.e. installation diffs, default TraceFlags, new functionality and the killer feature for analysis of execution plan. • Only the 64-bit version of SQL Server is available for installation (the last x86 build has been cut off in CTP2.3). 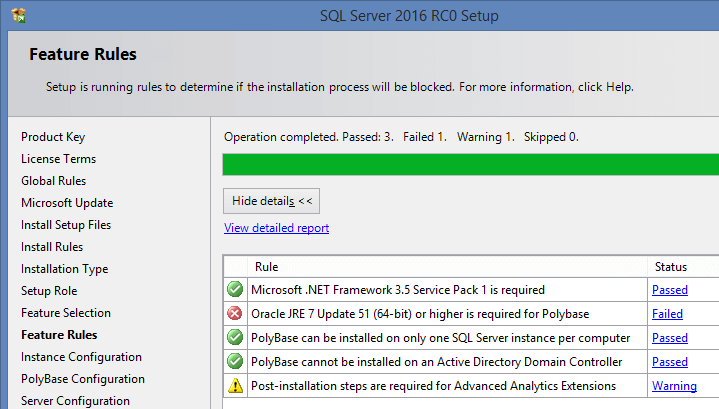 Here is the official statement: “SQL Server 2016 Release Candidate (RC0) is a 64-bit application. 32-bit installation is discontinued, though some elements run as 32-bit components”. 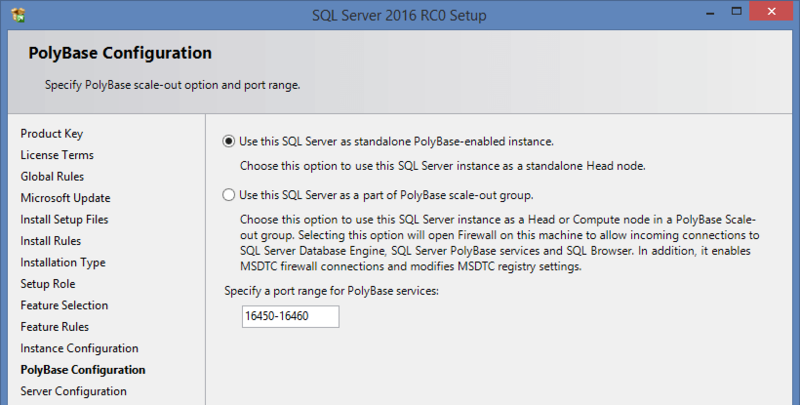 • SQL Server 2016 does not support Windows 7 and Windows Server 2008. The official list of supported systems is as follows: all x64 editions of Windows 8/8.1/10 and Windows Server 2012. 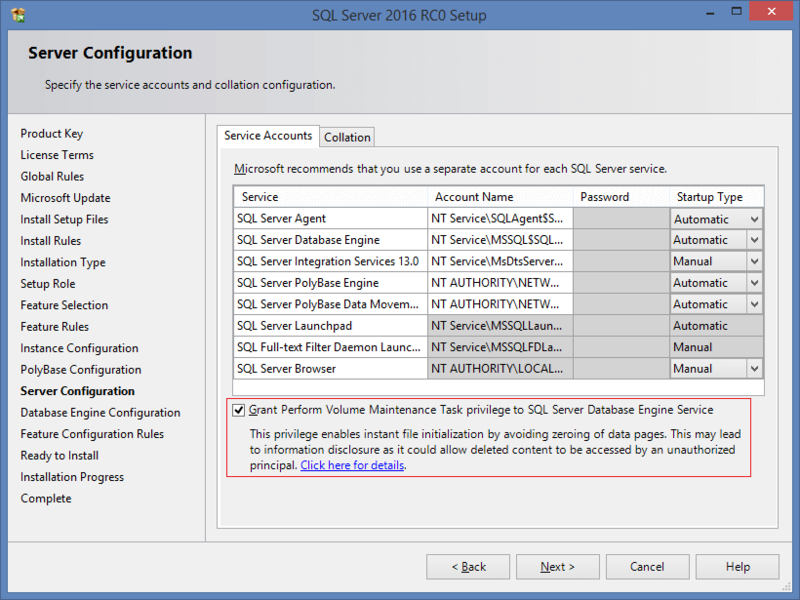 • SSMS is not provided with SQL Server and is developed separately. To download the standalone edition of SSMS, click this link. 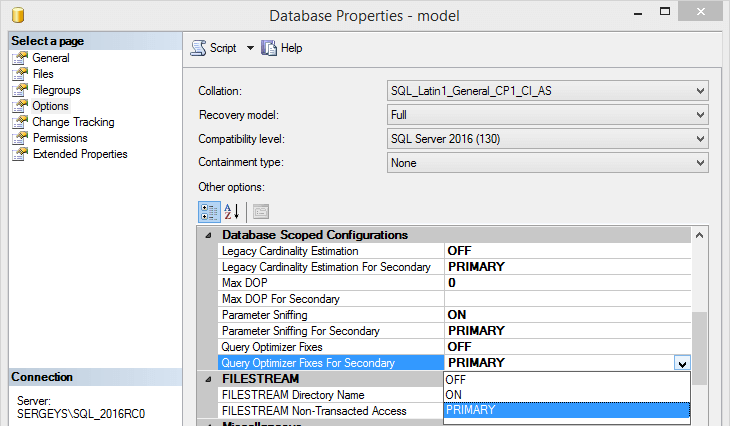 The new edition of SSMS supports SQL Server 2005…2016. Thus, you don’t need to keep the collection of SSMS’s for each version. It allows to automatically set up the required number of files and, if required, to distribute them over different discs. But even without it, the Autogrowth parameter will be not 1Mb (as it used to be), but 64Mb by default. At this point, installation diffs are over. Now, let’s take a look at other changes. SQL Server reads data from disc by parts 64Kb each (also known as extents). Extent is a group of eight physically consequent pages (8Kb each) of database files. There are two types of extents: mixed and dedicated. A mixed extent may store pages from different objects. Such behavior allows very small tables to take up the minimum amount of space. But in most cases, tables go beyond 64Kb, and when more than 8 pages are required to store data for one object, the switch to allocation of dedicated extents takes place. For initial allocation of dedicated extents for an object, TF1118 was provided. It was recommended to enable this trace flag. Therefore, it worked globally for all databases on the server. Several files can be created within one file system. 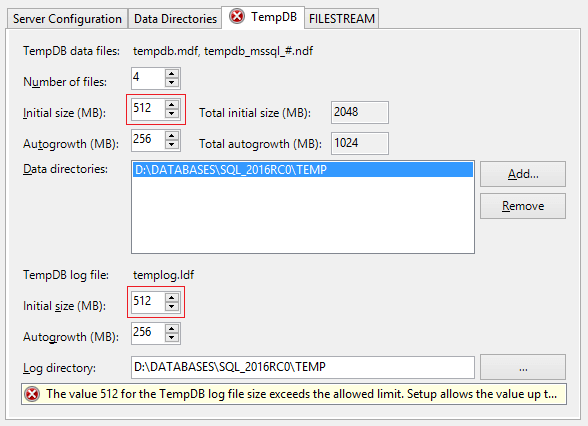 For instance, it is recommended to create several files for the tempdb database, that can increase system performance in certain scenarios. Now, let’s put the case where all files being parts of the file group have similar size. One big temporary table is created. File #1 has sufficient space and, naturally, AutoGrow takes place. After a while, similar table is recreated, but insert is performed into file #2, since file #1 is temporary blocked. What will happen in this case? AutoGrow for file #2… and recurrent delay during query execution. For such cases, TF1117 was provided. TF1117 worked globally, and when one file was overloaded, it called AutoGrow for all files within one file group. There is not enough space to insert data and AutoGrow will take place. Now, let’s suppose we have a large table, let’s say 10-20-30 million records. To recalculate statistics, we need to modify a massive range of data or to monitor the statistics update manually. In SQL Server 2016, TF2371 is enabled by default. the usage of TF8048 helped to get rid of performance issues. In SQL Server 2016, this trace flag is enabled by default. Also, the option to enable TF4199 has been introduced. It includes the massive list of all kinds of optimizations. (CTE) SQL Server Execution Times: CPU time = 18719 ms, elapsed time = 19109 ms. (XML) SQL Server Execution Times: CPU time = 4672 ms, elapsed time = 4958 ms. (STRING_SPLIT) SQL Server Execution Times: CPU time = 2828 ms, elapsed time = 2941 ms.
CPU time = 18719 ms, elapsed time = 19109 ms.
CPU time = 4672 ms, elapsed time = 4958 ms.
CPU time = 2828 ms, elapsed time = 2941 ms. This goodie is quite cool. I know that Devart has already started to develop similar functionality in dbForge Studio. 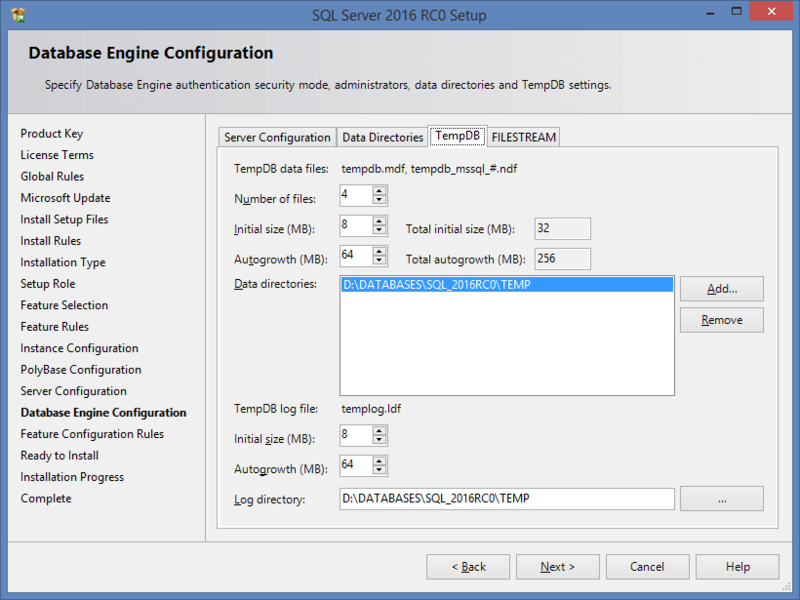 To maintain readability of this overview, I withdrew some new features of SQL Server (Temporal Tables, Dynamic Data Masking and improvements in In-Memory), and intend to add them after the release of RTM version. So, there we have it… Thank you for your attention.